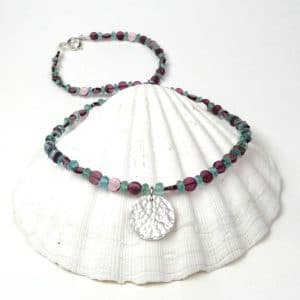 A bohemian-style necklace with gemstone charms which would look fabulous sitting in the necklace of a floaty summer top. 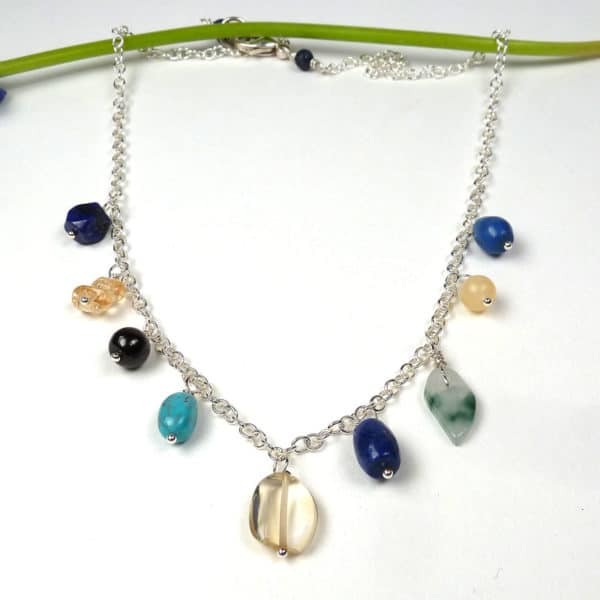 Charms of lapis lazuli, calcite, yellow topaz, turquoise, jade and garnet drop from a sterling silver chain. Length when laid out flat: 18.75 inches. 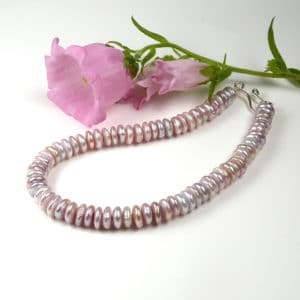 Dimensions of largest bead: 10 x 12mm.